Rumour: Zune Phone on the way? It started with the 'iPod killer' Microsoft Zune , which Microsoft is hoping will knock the Apple iPod off the top spot in the digital music player market within a few years. 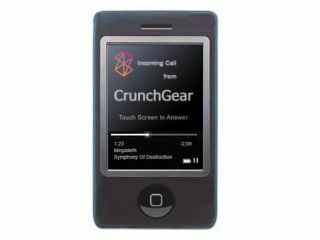 Now rumours are spreading that Microsoft is planning a Zune mobile phone to compete with the forthcoming Apple iPhone . The rumour comes from the CrunchGear blog , which has received "leaked information" that Microsoft is planning a Zune mobile phone based on the Zune interface. Unlike the Apple iPhone , the Zune Phone may not have a touch screen. CrunchGear considers the Zune interface "among the best available on audio players" and states that a possible transition to a phone should be easy. The Zune Phone will not be running Windows Mobile, but a newly developed operating system that will be able to sync with the Xbox 360 and the online Zune Marketplace . According to the speculation, the Zune Phone will be available in time for Christmas this year, which seems like a bit of a challenge for Microsoft to pull off. Whether this is an accurate rumour, or just another vapourware statement about products that never see the light of day, time will tell.